Homelegance Dresser and Mirror Lyric EL1737-56. The contemporary Lyric dresser and mirror an unique addition to your new Storage Bedroom design. A final, unique, addition to the collection is the glass topped night stand that furthers the contemporary feel. 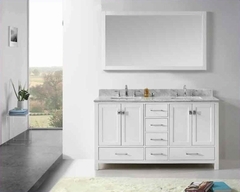 With each curve comes a new twist - satin nickel hardware accents the glossy white finish, bow-front case pieces feature ball bearing drawer glides, while a round, contemporary mirror reflects the modern designs. 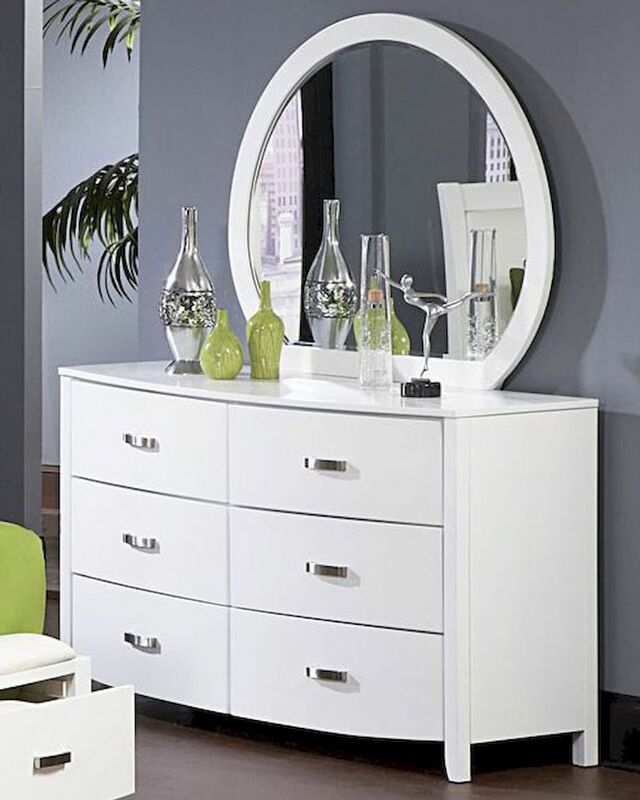 Dresser - 61.5"W x 21.5"D x 36.75"H.
Mirror - 48"W x 1"D x 38.25"H.